West African Examination Council, WAEC 66th Nigeria Examination Council [NEC] Meeting Updates/Outcome for West African Senior School Certificate Examination, WASSCE for Private Candidates, 2018 First Series Examinations and WASSCE for School Candidates, 2018. 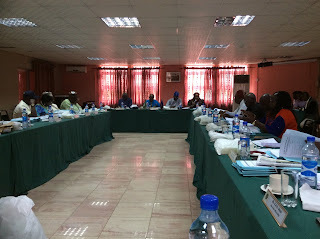 The West African Examination Council, WAEC 65th Nigeria Examinations Committee (NEC) Meeting commenced on Tuesday, 2nd to Thursday, 4th October, 2018 at Excellence Hotel & Conference Centre, Ogba – Lagos. The NEC is the highest decision-making organ of WAEC on exam-related matters in Nigeria. It considering matters relating to the conduct of the WASSCE for Private Candidates, 2017, 2018-First Series and School Candidates 2018. In the course of considering the various reported cases of malpractice, the Committee, after diligent deliberations, approved appropriate sanctions in all established cases of malpractice, as prescribed by the Rules and Regulations governing the conduct of the Council’s examinations. It approved that the entire results of candidates involved in proven cases, which attract Cancellation of Entire Results (CER) be cancelled, while subject results of those involved in proven cases, which attract Cancellation of Subject Results (CSR), be similarly cancelled. In addition, some candidates will also suffer other sanctions such as barring them from sitting for the Council’s examinations for a certain number of years, some schools will be derecognised for a specified number of years, some supervisors that were found wanting in the discharge of their examination duties will be formally reported to their employers and blacklisted while some invigilators will be reported to the appropriate authorities for disciplinary action. The decisions of the Committee will be implemented without delay and the affected candidates and schools duly informed by the Council. However, the results of candidates who were exonerated by the Committee will be released.